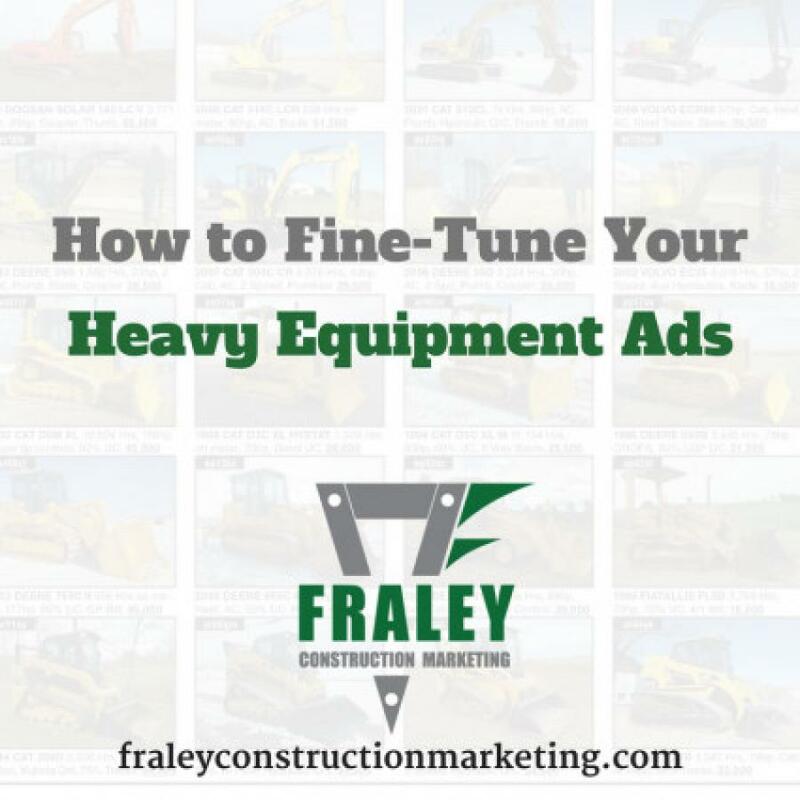 Dealers could potentially sell and rent more iron by making some simple tweaks to their heavy equipment ads. To be clear, most of these ads don't need a complete overhaul; a simple fine-tuning will suffice. Contractors looking through these publications are usually looking at busy pages. That means your ad better be flawless and easy on the eyes, or their attention will drift to neighboring ads. The following are some suggested improvements to make sure your ad captures attention, generates leads, and ultimately drives new sales and rentals. It's understandable that you want to get the most out of your advertising dollars but cramming too many machines for sale into a small space dilutes the power of the ad. Various studies have found that consumers often fall victim to decision paralysis when too many options are presented. How many machines make an ad overcrowded? It depends on the size, but if your photo or text looks too small, it's probably too much. It's shocking how many heavy equipment ads have text that is too small to read – even for those of us with 20/20 vision. If the reader has to squint to get the details on your equipment, they'll probably just turn the page. This issue has been complicated by the need for the ad to display well not just in print, but also on a screen. Small text and newsprint are like sand and a machine's undercarriage…they don't mix well. The solution is to make sure to scrutinize the ad in its actual size before it gets posted or printed. Too many ads have graphics that are too small, and therefore, ineffective. The most common offender is the logo. Reproducing some of the logos I see that are too busy and complicated to begin with is a discussion for another time. If any graphic is too small to read in your ad, blow it up. If you lack the space to do that, you may be trying to cram in too much. When it comes to advertising, don't just place it and forget it. I've seen situations where an ad has a glaring problem issue after issue with no resolution. These publications have some talented people working on your ad, but they're often dealing with hundreds of ads with thousands of machines in every issue. Get into the practice of checking out the print and/or digital version of your ad on a regular basis. By not including the name of a specific salesperson who knows what machines are for sale and where they're advertised, you're setting the stage for trouble. The contractor doesn't have the time or patience for the third degree while you try to determine how to best help him or her. Nor do they want to sound foolish by not having the name of a person to ask for when they call. Always include a name in the ad to personalize it and remove all potential stumbling blocks. This strategy grows more powerful by the day as more businesses shipping their customers to overseas call centers. It's understandable that you don't want your email to get into the wrong hands, but you should give people a more indirect way to reach you. It's not that your used equipment salesman doesn't have a nice personality, but people in today's world like the option of being able to snoop around online before getting hit with a sales pitch. A generic company email is the best solution. It goes without saying that you should also prominently feature a website and phone number. There is rarely a case when you should have more than one call to action in an ad. Dealers often run multiple promotions at one time, but that doesn't mean you need to include them all. Don't overwhelm the reader with choices. Pick one deal that best supports the equipment you're showcasing and fits the readers of the publication where the ad will be placed. To be clear, your deal can apply to several machines, but don't mix more than one type, i.e. leasing, financing, etc. Are You Ready to Move More Iron? It's hard to stand out when your competition is also showing photos of equipment, basic information, and prices. There are design tricks to address aesthetics, but what we're talking about here are some basic tweaks you can make to existing ads right now. The key is to ensure your ad is uncluttered and easily readable. Fine-tune your ad with the changes mentioned above and you'll be on your way to selling and renting more equipment in the future. Brian M. Fraley is the owner and chief strategist for Fraley Construction Marketing, a marketing communications consultancy with a unique 100 percent focus and deep understanding of the construction industry. He brings nearly 25 years of experience to clients across the United States including construction equipment manufacturers and distributors; heavy highway, demolition and building contractors; construction material suppliers; subcontractors; and trade magazines and associations.